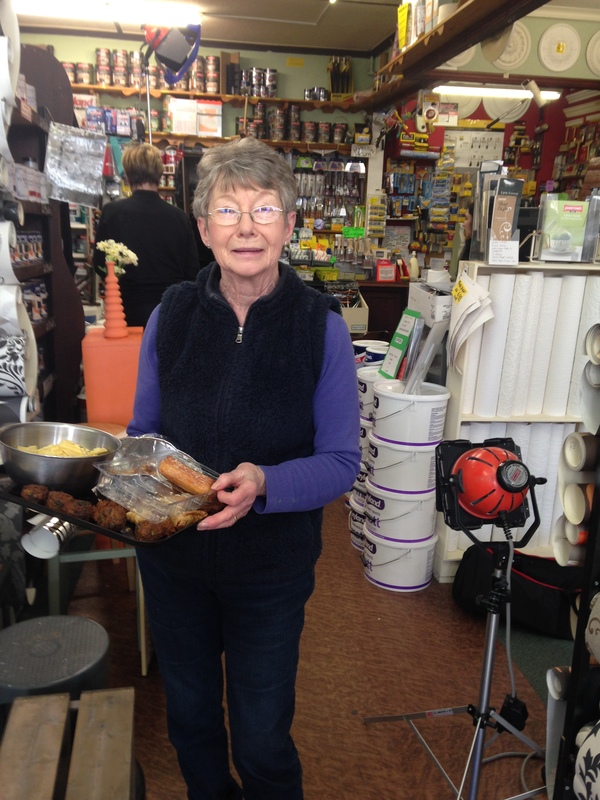 Crafters Companion > Blog > I’m so proud of my Mam! I’m so proud of my Mam! 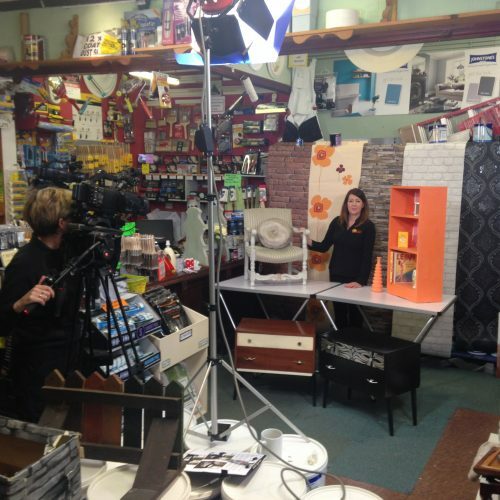 Eeh I probably shouldn’t be sharing this with you yet as it’s supposed to be top secret until we finish the recording, but you know I told you all about my mam being selected as the ‘expert guest’ for the Upcycling episode on Be Creative Series 2… well they did the recording of her segment at the weekend! I’m so proud of her! I can’t even begin to tell you how nervous she was! 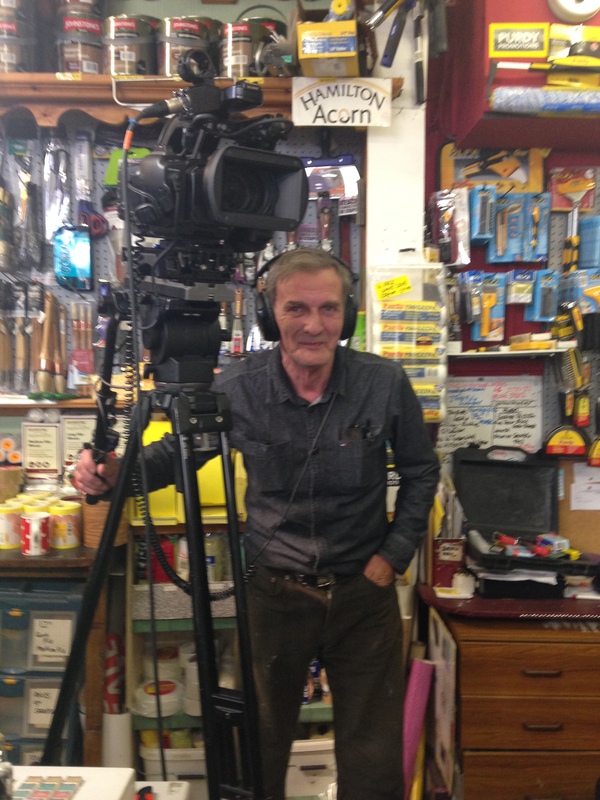 The camera crew turned up in force on Sunday morning and they had to build a makeshift set right in the main thoroughfare of the shop (hence why they had to record on a Sunday when the shop was closed!) but it looked great! They had the caterers in too….My nana cooked up a storm for lunch for everyone! And my Dad couldn’t help but get in on the action! The film crew have now managed to record most of the location pieces now and so they are ready for me to come into the studio and film all of my footage starting next week. I can’t wait! I get to turn my hand to polymer clay, cake decorating, crochet, quilting and cross stitch, as well as some of the crafter I’m more familiar with already like Scrapbooking and Colouring, and I’m even doing some of my chocolate making in this series! 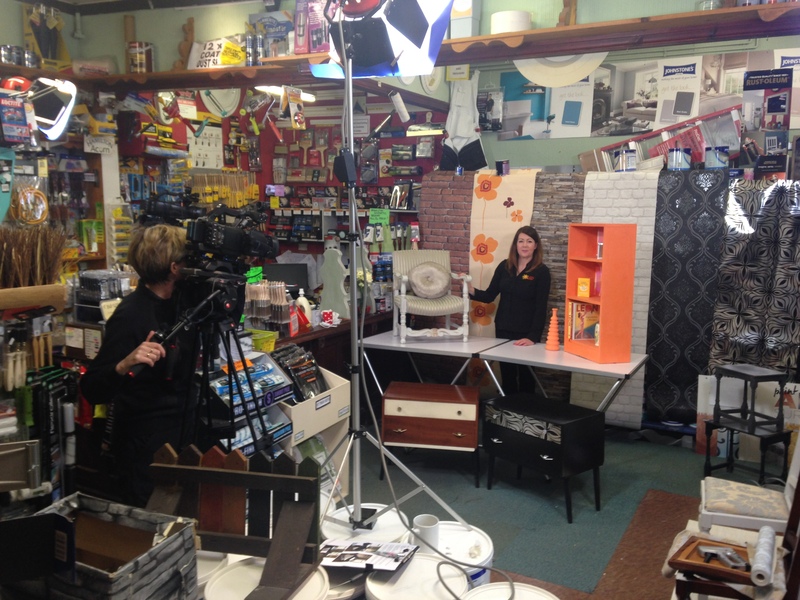 And of course don’t forget the other upcycling projects I’ll be showing you in the episode featuring my mam! I promise to keep you updated next week when we’re mid-shoot. Remember you can follow the Be Creative Facebook page for updates, and if you didn’t read the news about the channel going national on the Community Channel on Sky then read back to my blog post last week here! Oh and if you’re interested in upcycling then have a sneaky peak on my mam’s shop Facebook page: Wear Valley Decorating Centre – there’s some fab ideas!